Thank you so much to everyone who joined us yesterday. It was truly incredible to see how many people are supporting our initiatives and helping promote mental wellness. A big thank you goes out to the effort of a tireless volunteers, as well as our title sponsor RBC. 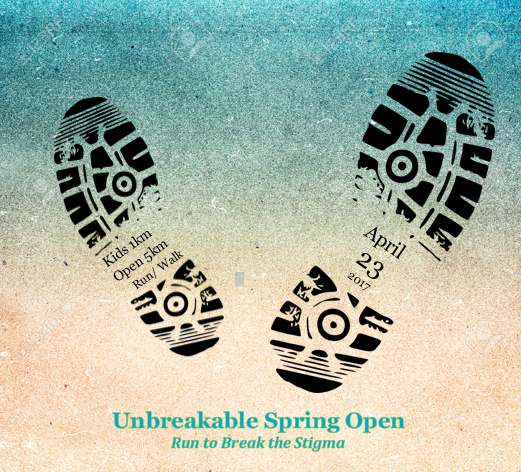 Looking forward to Unbreakable Run 2019!!! 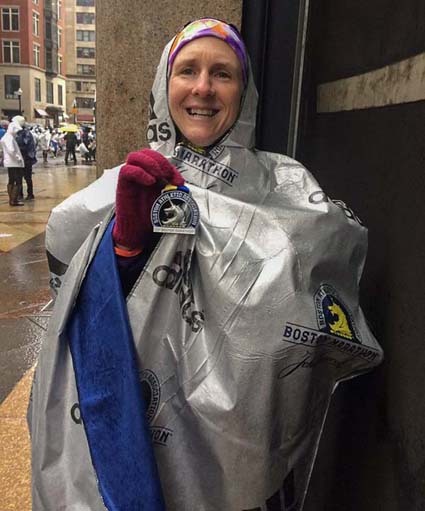 The worst weather conditions in recent memory greeted runners at the 122nd running of the Boston Marathon last week. Given the pre-race training conditions for those participants with a Sudbury connection, the cold and rain did little to dampen the spirits of the local contingent. With no expectations other than simply to finish the 26-mile race, Kaylie Iserhoff produced an astonishing personal best time of 3:25.43, in spite of following a training regimen she termed as "unconventional," at best. 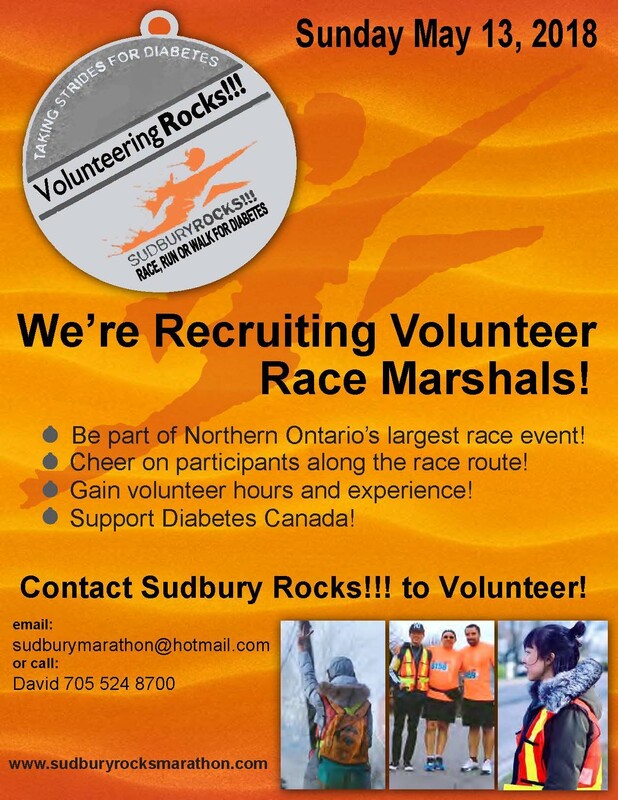 "My quads were hurting something fierce before the halfway point, as I had been warned they would," noted Iserhoff, in a post-race blog that she shared with long-time run supporter Vince Perdue, for his Sudbury Rocks! 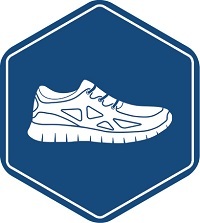 Running Club website. "But I reasoned that if my legs hurt and nothing else, keep going. "At 30km, I still hadn't hit the wall, so I decided to let it rip. I had no expectations, but thought I had more in me. I finished with a chip time of 3:25.43, about 20 seconds faster than my previous personal best." For those who have never experienced the entire event that is the Boston Marathon, it is difficult to comprehend just how much the entire community embraces this race. "After the race, while trying to make my way back to my room, my feet were cramping heavily while I was walking through the mall," recalled Iserhoff. "A complete stranger, who was waiting for her husband to finish racing, took my shoes off for me and massaged my feet. That one act pretty much sums up Boston on marathon weekend. Everyone was just so kind, welcoming and extremely proud and excited for you"
While no longer living in Sudbury, Kassandra (KC) Gallo was easily the pride of the local family connections in town, covering the course in a time of 3:07.23. The Toronto native and daughter of Arnie Gallo is not new to athletic excellence, having played NCAA hockey with the Mercyhurst Lakers several years ago. "Running kind of started when I graduated from Mercyhurst (2003) and hockey," said Gallo. "Six or seven years ago, I hooked up with Nike Run Club here in Toronto, and it kind of exploded from there." In fact, over the course of the past five years, Gallo indicates her completed marathon resume numbers somewhere from 10 to 12, including running Chicago no less than four times. That said, there is clearly a mystique to Boston. "For runners in general, it is the one race that you have to qualify for," said Gallo. "No matter what, you would have had to run another marathon before that." And while the elements certainly affected many of the racers, the one-time northern girl virtually laughed off the forecast. "Based on the winter that I trained through, it was something I was ready for," she explained. "I was ready for it to throw everything at me, except maybe a day where it would have been 25 degrees. That probably would have been the only thing I was not prepared for." 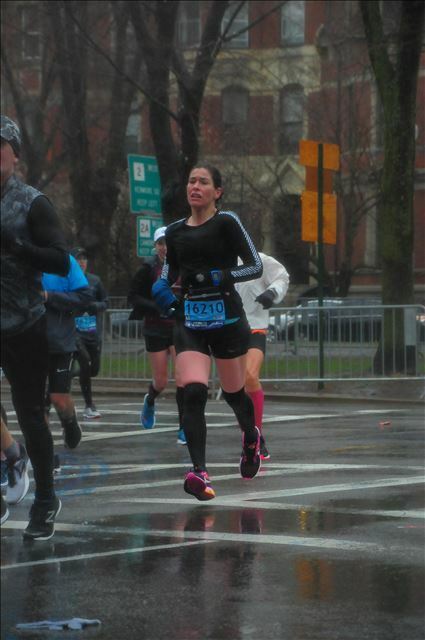 Making her third appearance in Boston, St Charles College teacher Chantal Dagostino also recorded a new personal best time (3:46.38), a pretty significant feat considering the far less than ideal running environment on April 16. Still, she found herself more than a little philosophical looking back on her 2018 experience. "All runners want the perfect race, but if you chase a perfect race, you will end up disappointed," Dagostino noted. "You can train as much as you want, but weather always has the last word of the day." 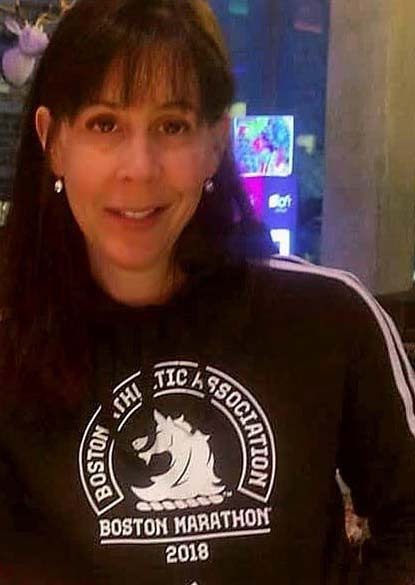 Yet another runner from the teaching profession, Jody Nadjiwon completed her Boston jaunt in a sub four-hour time of 3:52.02. 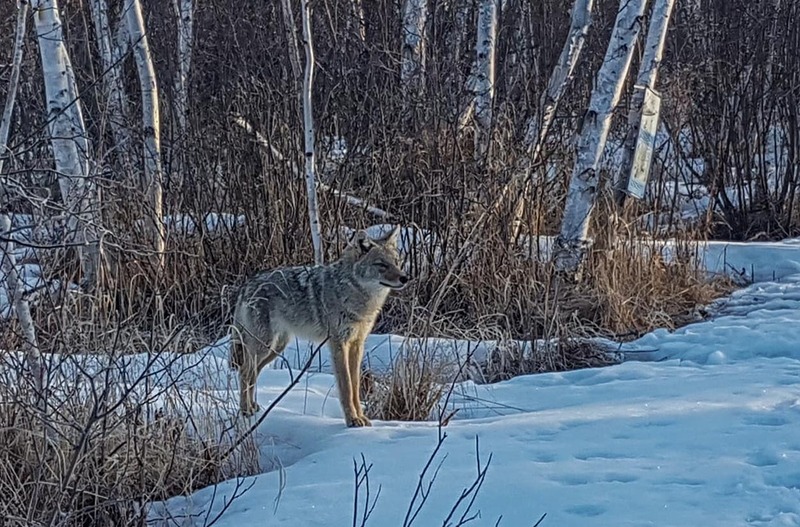 Never one to sit still for too long, the 45 year-old native of Whitefish has been active in the past with triathlons and as a member of the Sudbury Cycling Club. With a varied athletic background throughout her youth, she started down the path that would eventually lead to marathons in a most unorthodox manner. "I actually started running because I got a black lab dog and he would not sleep, so I learned to run - but I had never raced through high school or anything like that," she confessed a few years back. From there, crossing paths with ultra-distance competitor and mentor Mike Coughlin initially attracted Nadjiwon to the triathlon bug, smitten with the lure of the entire atmosphere that surrounds the event. As for her most recent marathon, her Facebook posting on race day seemed to perfectly summarize her sentiments. "Proud to finish, but that was a tough run," posted Nadjiwon. There's a pretty good chance those feelings were shared by 58 year-old Sudburian Martha Auchinleck, after completing her trek down the fabled path in 4:03.19. 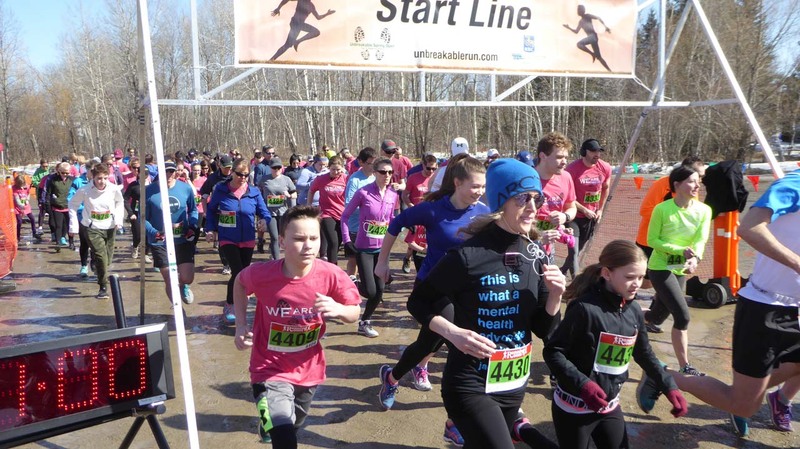 Closing out the Sudbury crew, to the best of our knowledge, was Cyril Varney principal Jacques Mantha, who was running Boston for the very first time after hitting the qualifying standard at the Hamilton Marathon Road2Hope in November of 2016. His time, last Monday, was 4:10.40. Randy Pascal's column runs three times a week in The Sudbury Star. Like most marathoners, I have on occasion found myself defending my sport against the charge that distance running is “boring”. Having followed the sport closely for years, I confidently assert that running is not boring — it’s subtle. Except time trials. Those are boring. When I was a newer runner, I focused my goals on competing against fellow runners. My ‘worth’ was based on how I placed in every race. As Vince often told me, the hardest place to be is at the top. There is nowhere to go but down. It took me many years to shift my mindset from competing against others to challenging myself. I realized that I didn’t have to prove my worth by placing well to gain respect from my running community. I also realized that the most important person I should be competing against was myself. Even more, it shouldn’t be competing against myself, it should be about challenging myself. This shift in mindset has opened a whole new world to me. I feel freer setting goals that better match my opportunities to grow as an athlete, not just running myself into the ground trying desperately to get faster. Last year I trained for my first half ironman, with the goal of finishing strong. 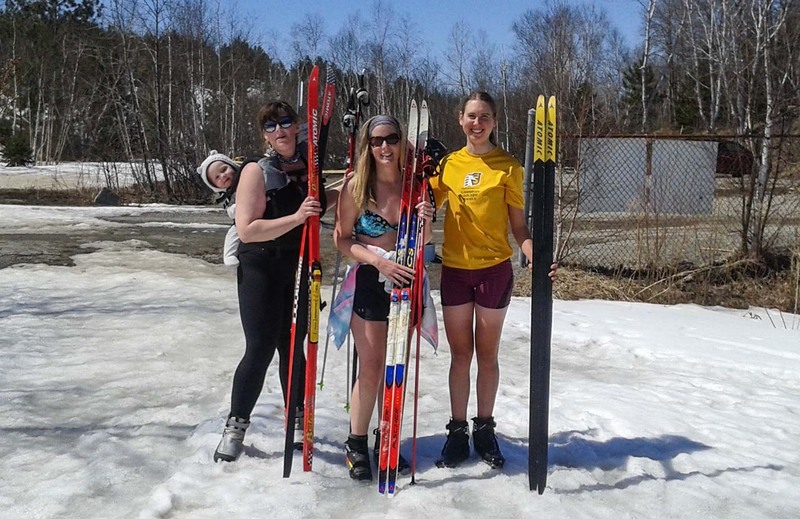 This winter I opted out of endless indoor track workouts to focus on my first love – Nordic skiing. 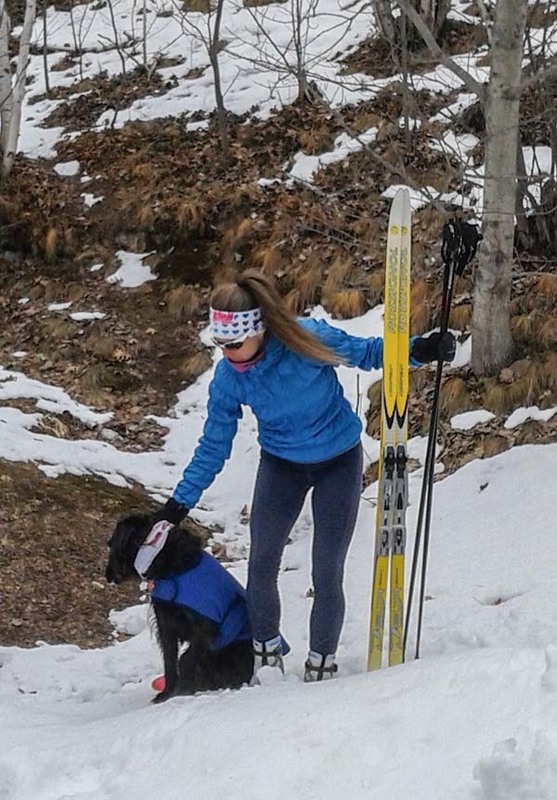 I felt a renewed strength and energy to train every time I put on my skis. I loved hitting the trails, finding endless mini goals to focus on, even the intensity workouts were a lot of fun. I did compete in many ski races, even large ones like the Ontario Cup circuit. I set a few season goals, which were not time-based. I wanted to ski a 100km day, and I wanted to ski 1500km over the winter. I achieved both goals, and actually finished skiing on Monday with 1611km for the season. Accomplishing these very personal non-competitive goals was every bit as rewarding as racing my first sub-20 minute 5k. I urge you all to try setting a few personal just-for-you goals. Make sure they are shared with your support network, and make you feel just a little bit scared thinking about them. Personal goals need to challenge you just as much as competitive goals do. Enjoy the journey and may they help you grow as an athlete. They certainly have for me.